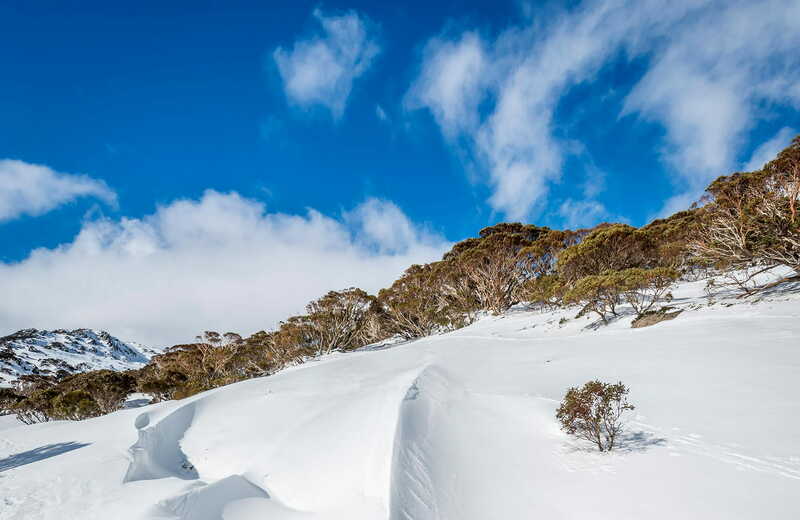 Kosciuszko National Park spoils you with snow sports, walks and mountain biking in the Snowy Mountains. 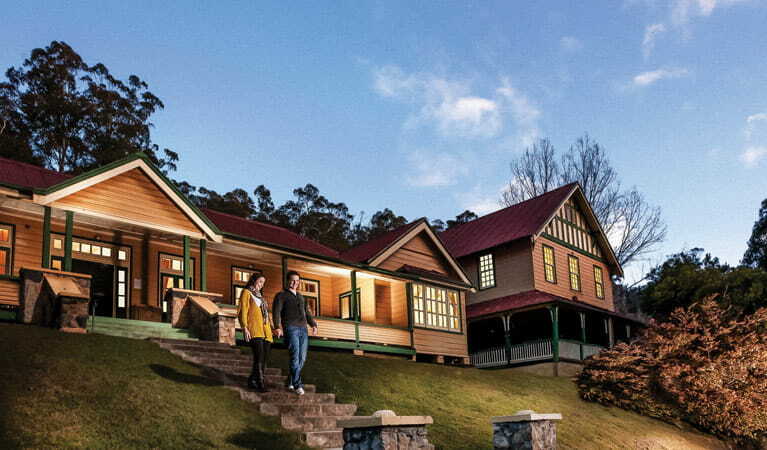 Go camping, explore caves, climb Australia's highest mountain, or stay in heritage accommodation. 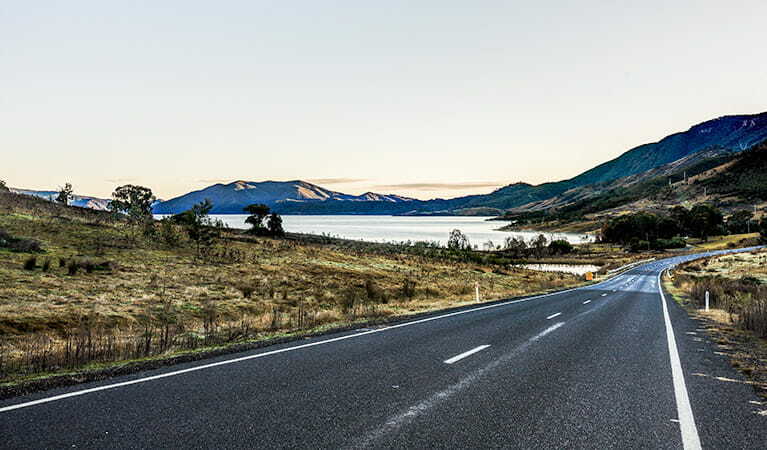 From Jindabyne to Tumut, NSW's largest national park will keep you busy for a weekend or for weeks. Ski or snowboard the highest runs in the country at Thredbo and Perisher, or visit Selwyn. Try cross-country skiing. 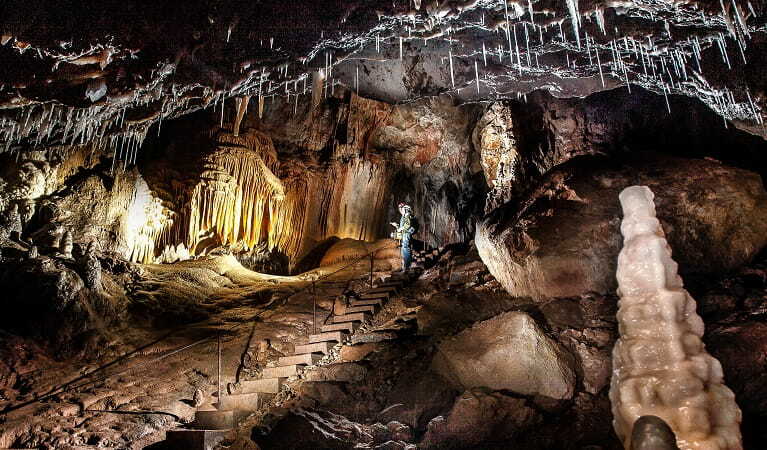 Hike to the summit of Mount Kosciuszko, or descend underground to magical Yarrangobilly Caves. Adventure seekers can get their thrills on the many walks and mountain bike trails. 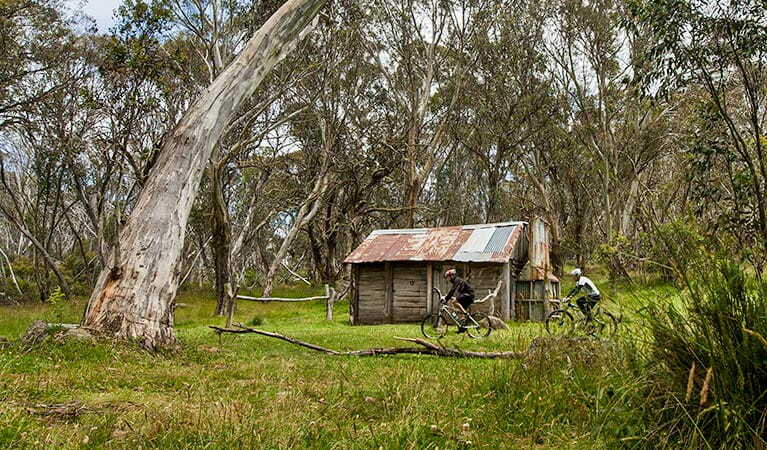 Why not challenge yourself on Main Range walk or ride popular Thredbo Valley track. Saddle up for a horse ride in the High Plains or near Khancoban. There are also historic huts, dazzling wildflowers, and awe-inspiring lookout views to discover. Need inspiration? 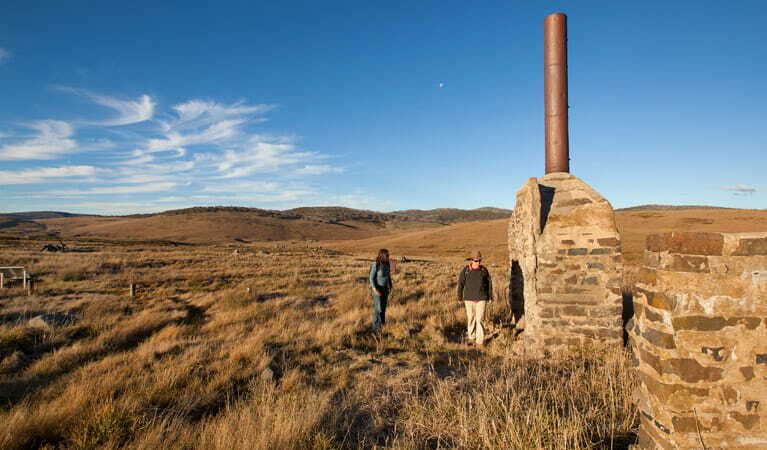 Ask at the park's visitor centres about tours, or learn about Kosciuszko's gold mining heritage at Kiandra. There's great fishing and paddling in the lower Snowy and upper Murray rivers. Throw a line in a mountain stream or reservoir like Blowering, Eucumbene and Tantangara. The scenic Alpine Way and Snowy Mountains Highway drives are the perfect way to get around and see it all. After a day exploring this certified Ecotourism Destination, relax at a riverside campground. You can also book your own mountain cottage to recharge for a new day of adventures. 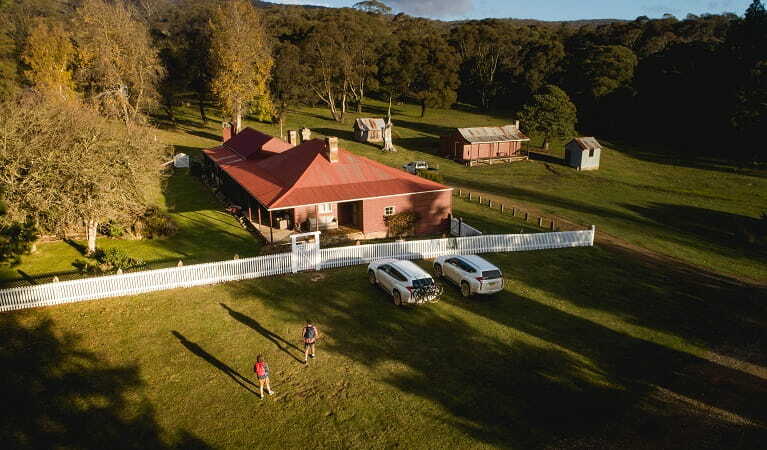 The Selwyn area is your perfect base to enjoy family-friendly Selwyn Snow Resort and historic Kiandra. 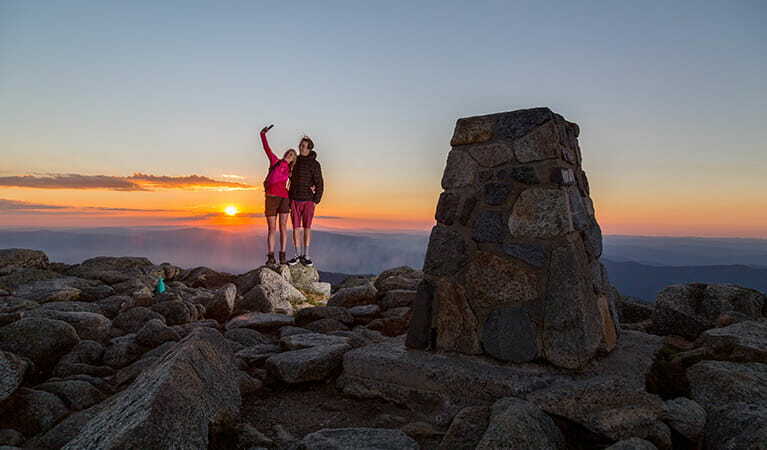 Explore the walks, rides and top fishing spots of central Kosciuszko National Park. Kosciuszko National Park is open all year but at times some roads and trails close due to weather conditions or park management issues. For details, click the local alerts or contact the park's visitor centres. Winter peak (Alpine Way, Kosciuszko Rd and Link Road) From start of June long weekend to end of October long weekend: $29 per vehicle per day (24hrs); motorcycles $12; bus passengers $11.45 per adult, $3.60 per child per day (24hrs). Find out more about the Winter entry surcharge. Rest of the year (Alpine Way and Kosciuszko Road only) $17 per vehicle per day (24hrs); motorcycles $7; bus passengers $6.60 per adult, $2.20 per child per day (24hrs). Yarrangobilly Caves (year-round) $4 per vehicle per day, unless park entry has been paid. Passes: Day passes (based on daily entry fees above), multi-day passes and annual All Parks Pass available from NPWS visitor centres, local agents and operating vehicle entry stations. Read our Annual Pass FAQs for more information. Short Breaks Pass: $68 for 5 days park entry at price of 4 days (not valid winter). 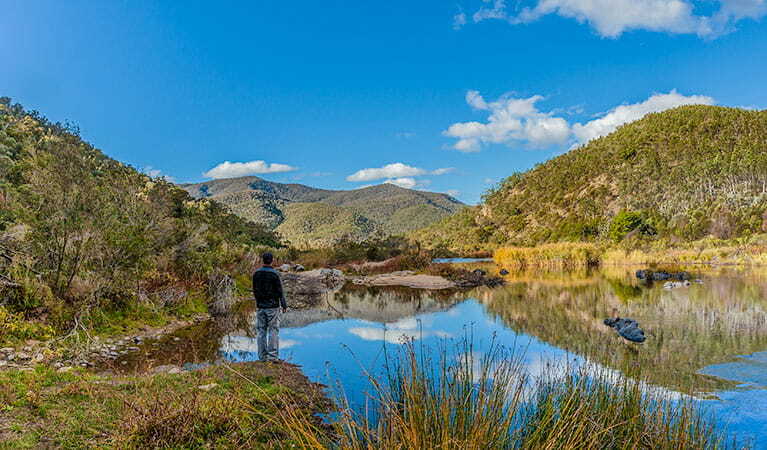 Eligible pensioners can apply for a complementary NPWS concession pass, to get free park entry. Download the exemption form (154KB doc). Contact hours: Monday to Friday, 9am to 4.30pm. Closed 12.30pm to 1pm.